Apparently, this is still a thing? This week the topic of book piracy blew up the twitter feed. I'm still in shock there are two sides to create an argument. Some people are arguing that book piracy allows people with no money to be able to read creative works of authors...which seems a moot point because guess what? THERE ARE SUCH A THING AS LIBRARIES. Then the other side of the coin opposes book piracy because authors deserve to be paid the money they deserve...I mean they are the creators after all so why shouldn't they? Sometimes I wonder if people don't know the amount of work that goes into a novel (let alone a book series). Authors pour over ideas and thoughts somehow with their imagination then turn that into an outline. Then the process goes something like this: first draft, many drafts, revision, editing, publishing, and finally marketing as well as events on top of that to help promote their work. In a way I almost feel like authors are underpaid, but what can you do? Anyways, you can check out the latest tweets and decide for yourself. 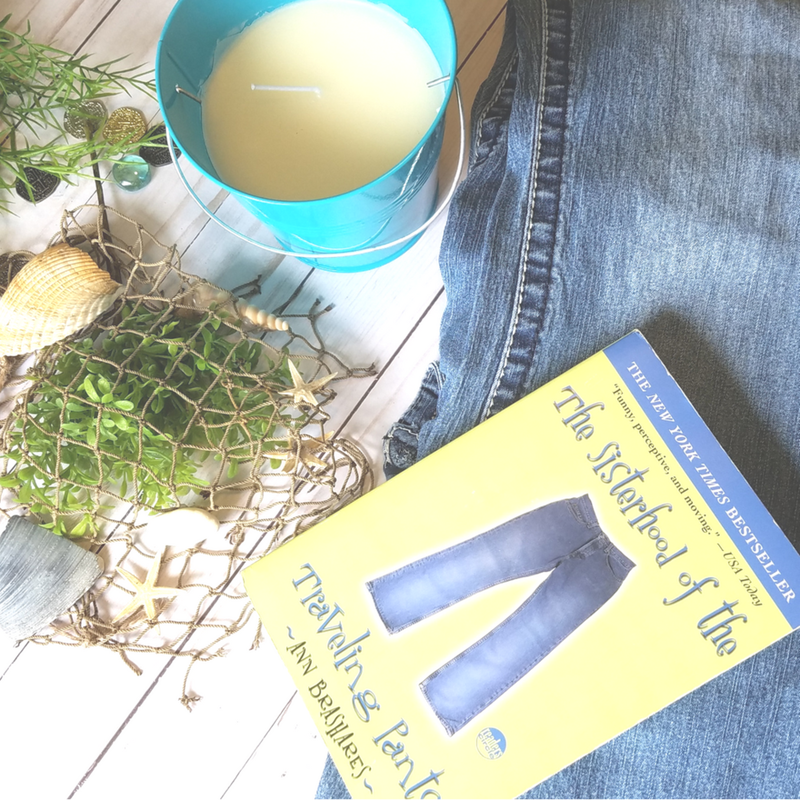 Most of us know about the infamous traveling pants - a magical piece of clothing that just happens to fit all 4 girlfriends and brings them together despite their travels away from each other. First, it was a book series, then it came out with two movies, and now we can say it has a musical in the works! There aren't any details as of yet for when it will be coming out, but it is definitely a work in progress! If you're from the 90's decade (like myself) you have a great love for all of the culture that has greatly shifted since that time period. Labeled as the "Millenials", we are known as "the nostalgic generation" and we're totally okay with this. As an ode to the 90's, the Bookstagrammer, Bridget Thomas, has invented the #Totally90sBookChallenge. The last bookish challenge filled the hashtag with 90s music inspired novels (seriously regretting I hadn't known about it sooner-yeah, you're not the only one). August's theme will be 90's TV shows and you can find the book challenge prompts over on @BridgetsBookstagram. The book challenge starts on August 1st, so be there or be square in the 00's! It's your choice. Yup, you guessed it! This is a reader's marathon full of fairy tales! 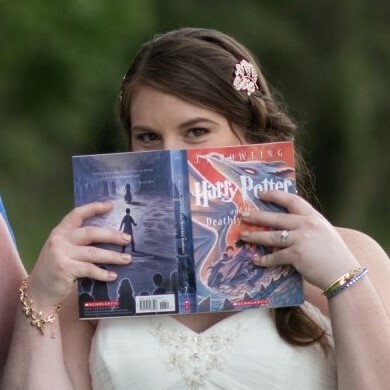 *swoons* I was so excited to stumble upon this beauty of a readathon! By the looks of it, these challenges are full of diverse fairy tales which makes me even more enthusiastic to be a part of this community! Flitter over to @aFairytaleathon to check out next month's challenges. #AFairytaleathon starts Monday, August 13th and ends Monday, August 20th! I'm not sure if you've heard anything in the recent news involving Hocus Pocus, but there's been the talk of a sequel going around. Unfortunately, the sequel isn't revolving around the movie franchise, BUT you can go purchase it in book format which became available on July 10, 2018. It's a two-part book including a retelling of the original Hocus Pocus as well as the sequel - written by A.W. Jantha // published by Freeform and sold by Disney Book Group, you can buy it here via eBook, Hardback, and/or MP3 formats. Twenty-five years later, Max and Allison's seventeen-year-old daughter, Poppy, finds herself face-to-face with the Sanderson sisters in all their sinister glory. When Halloween celebrations don't quite go as planned, it's a race against time as Poppy and her friends fight to save her family and all of Salem from the witches' latest vile scheme. I'm not sure if you've heard about this...so let me be the first to tell you (if you haven't yet) - "To All the Boys I've Loved Before" by Jenny Han is being released as a movie! SAY WHAT!?! YUP! They released a teaser trailer back in June, but have just recently posted the full trailer so go watch it over on Buzzfeed! The movie will be available for your viewing pleasure on August 17, 2018 via the Netflix streaming service! And for those of you that haven't read it (myself included) here's the book info. over on Goodreads in case you wanted to add it to your TBR. You better get reading if you want an accurate book to movie adaptation opinion to put out into the world. But seriously, this movie looks so cute and gives you all the feels! Eeeeeep! What bookish news are you most excited for? Comment below so we can fangirl together! Gaaaah! 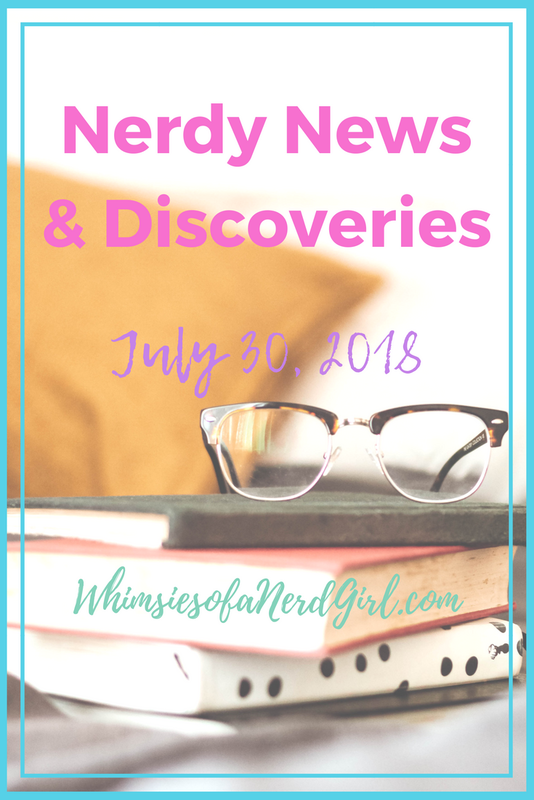 BTW, if you want to stay up to date for future happenings in book nerd land, sign up for my newsletter!